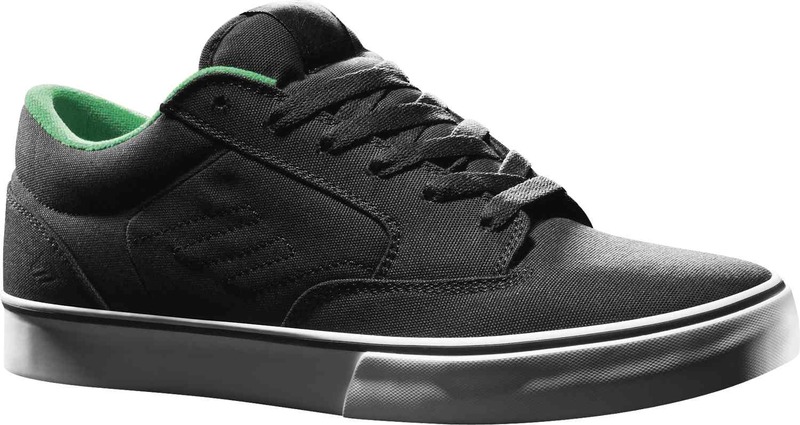 Emerica Jinx is a great way to start off 2012! Upper is all black canvas with a hint of green. Vulcanized soles for good board feel, also green. Collar and tongue have a little more padding then some of the other Vegan Emerica options, which is nice. Notice how far the toe cap comes back, thats going to give some longer shred time. We posted the Spring 11 Jinx over the summer. This is Holiday 11, but get em while they last. Spring sneaks up fast in the skate industry. finally the jinx in all synthetic but not all black!